The Ubud Writers and Readers Festival is not just about writers, readers and books but is now a multi-cultural extravaganza that includes music, dance, poetry, performance, film, food and cooking. From when it was created by Janet de Neefe ten years ago to breathe new life into Bali after the 2002 bombings it has grown into an event that is uniquely Bali and is probably unrivalled anywhere else in the world. It has been a wonderful week, truly memorable for the writers and readers we have met from across the Indonesian archipelago and around the World —- how could anyone who loves books not be interesting! I was fortunate to participate in three events which are listed below. 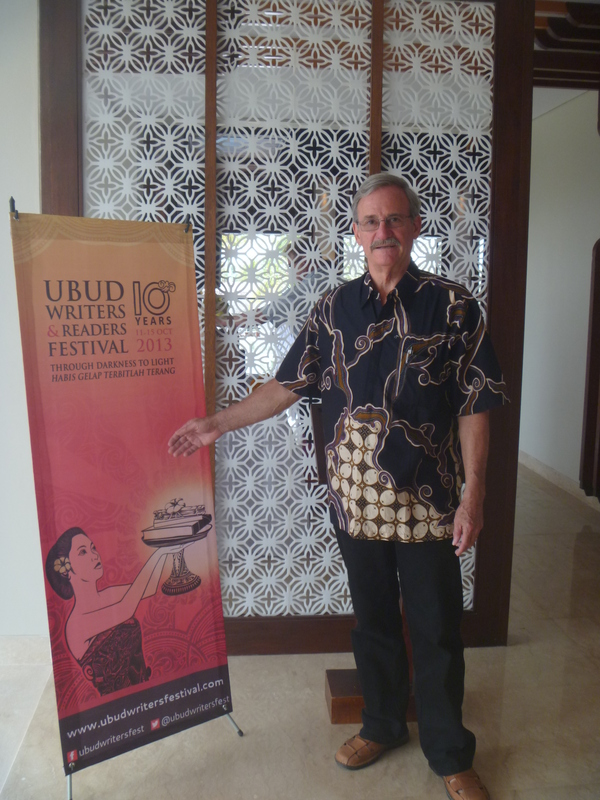 My challenge now is to be back for another UWRF with another book to talk about. For a taste of Indonesia, visit the Festival kitchen & try legendary dishes from Sumatra to Bali, prepared by some of Indonesia’s most creative chefs. 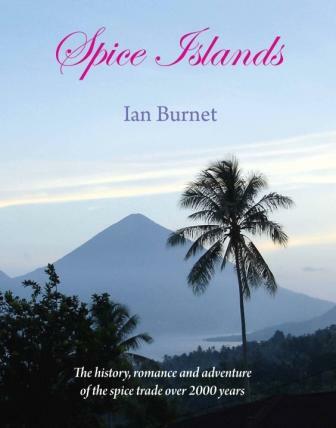 Take a voyage on the high seas to Indonesia’s fabled Spice Islands with Ian Burnet. Served with Balinese afternoon tea. 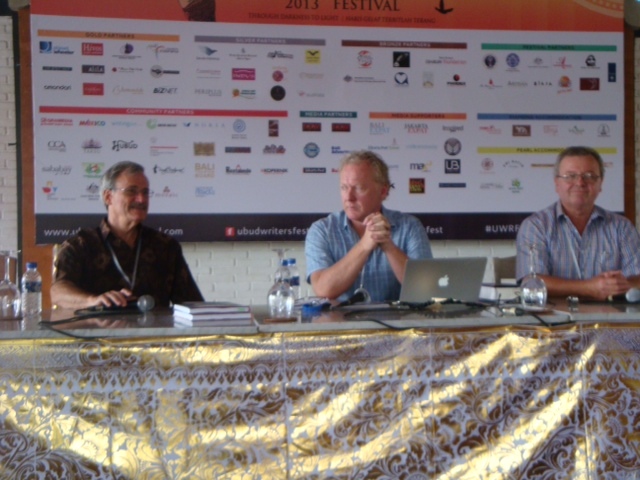 Two men who have dedicated their lives to spices: Ian Hemphill – a modern-day spice merchant & Ian Burnet – authority on Indonesia’s spice islands & trade. Join them in an exotic journey from India to Indonesia along the legendary spice route, discussing the romance of spices & their impact on the modern world. Join our esteemed guests for a glorious Indonesian feast of food & mind, celebrating the most important ingredient in Indonesian cooking – rice. Anthropologist J. Stephen Lansing will discuss his lifelong passion for Bali’s majestic paddy fields & his part in creating the UNESCO world-heritage site of Jati Luwih. Ian Burnet will spice it up with swashbuckling stories of the ancient spice trade of the East Indies, while Ketut Yuliarsa will wax lyrical about his home. Janet DeNeefe will share tales from Fragrant Rice & celebrity chef Farah Quinn will add glamour with anecdotes about her favourite rice-based dishes. William Wongso – acclaimed authority on Indonesian food – will prepare traditional culinary dishes from Sumatra to Bali in a taste sensation you’ll never forget. This entry was posted in Uncategorized and tagged cloves, east indies, herbies, ian burnet, ian hemphill, janet de neefe, nutmeg, spice islands, spices, ubud writers and readers festival. Bookmark the permalink. I hear it was a good session. Hope your next Spice Island Adventure is also good.